Rapunzel, Rapunzel! Let down your hair! French builder Kloou. 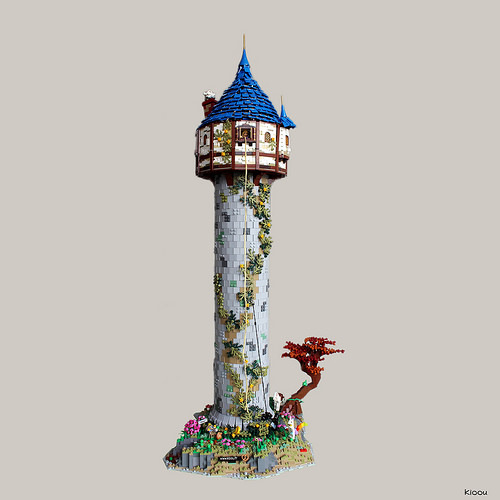 creates a detailed and technically advanced model of Rapunzel’s tower using tiles for the round tower. 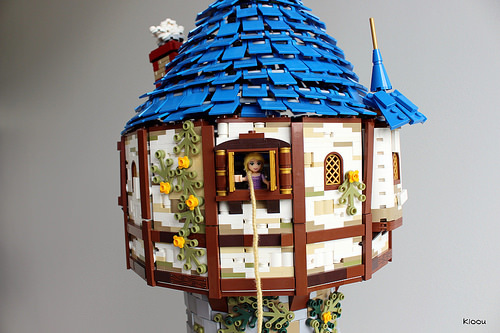 If you look closely, you can see Rapunzel’s hair is an actually braided piece of yarn. The builder certainly has not spared a strand of detail. Just as stunning is the textured roof made of flag clips to imitate the individual shingles.